I’m excited to share my New Release with you. Her Mr. 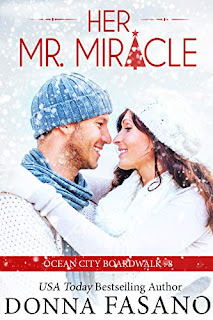 Miracle is the 8th book in my Ocean City Boardwalk Series. Please note that the first 3 books in the series are contemporary romance novels and might be a little more steamy than Sweet Romance Readers might prefer; however, all the other books in the series (Books 4 through 8) are sweet, stand-alone stories that I know you’ll enjoy. The awesome thing about Her Mr. Miracle is that the story went in directions I was not expecting. I love it when that happens. One secondary character in particular showed up out of the blue, and she made a decision that I found, well… shocking. But once the scenes were written, I found myself coming to a place of compassion and understanding for her. Sounds like a winner, Donna. Congrats on your new release! Congratulations, Donna. You've hooked me with that blurb! I wanna know about the billowy wedding dress too! Yea! LOL Thank you, Magdalena! I love it when my story goes in a direction I hadn't planned. That's the fun of writing. Those surprises keep the creative process interesting, don't they? :) Thanks for stopping by, Margaret! What a cute title! 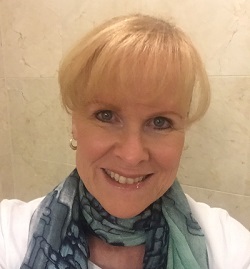 Congrats, Donna!